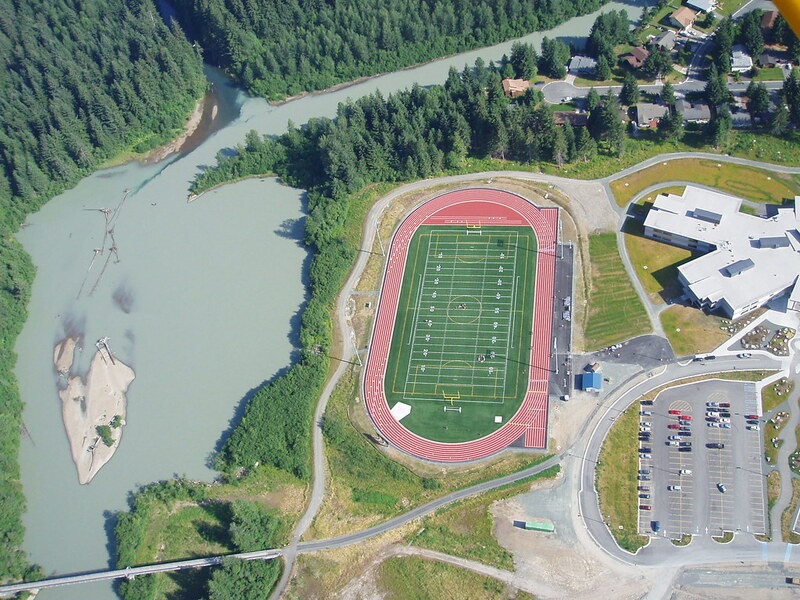 Dimond Park is a 70 acre recreational and educational campus located in the Mendenhall Valley of Juneau, Alaska. 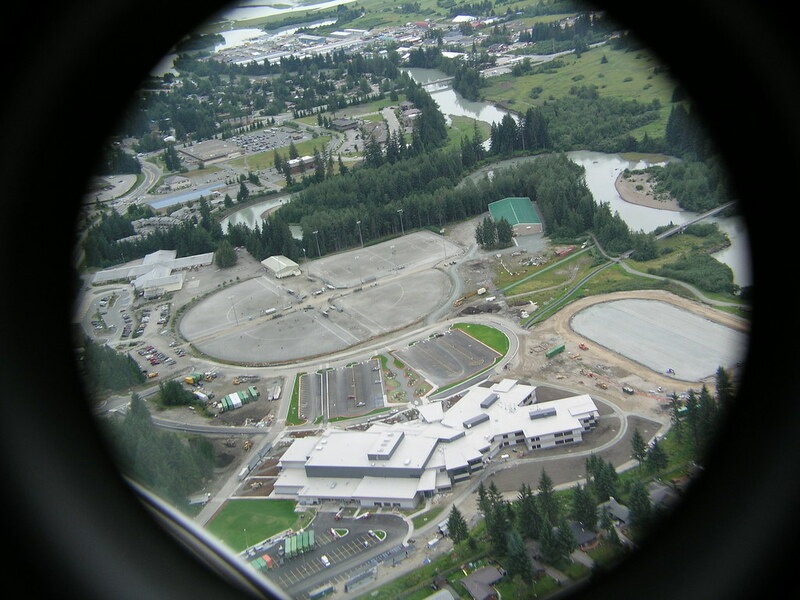 It is located in the residential and recreational heart of the community and supports Riverbend Elementary School, Thunder Mountain High School, Dimond Park Aquatic Center, Mendenhall Valley Public Library, Dimond Field House, Thunder Mountain Track and Field, Dimond Park Ballfields, and CBJ Parks and Recreation shop/greenhouse. Our Engineers were involved with the master planning and pre-design phases of all site development in the park beginning in 1990. Site development began in the late 1980’s and early 1990’s with softball field construction. Topographic mapping and geotechnical investigation began in the year 2000 for Thunder Mountain High School. Provided topographic surveys, geotechnical investigations, site utility design, site grading and drainage for this 20,756 sf public library. The project included a 33 stall vehicle parking lot. Also performed extensive site preparation design work to provide a long term service life of the building, as the site was located over a former gravel extraction area. 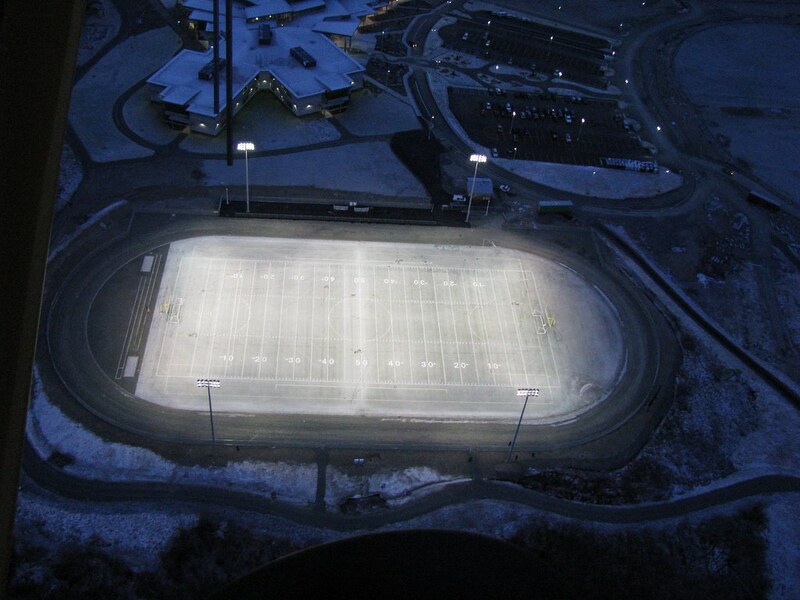 As a prime consultant to CBJ our engineers prepared bid ready construction documents for a 400 meter all-weather running track and football/soccer turf surfaced facility adjacent to Thunder Mountain High School. Design work included site grading, underground utilities, permitting, equipment storage building, fencing and field lighting. As the site civil engineers prepared bid ready construction documents for this 8-lane pool building and associated underground utilities, site parking lots and site preparation for the structure. Our engineers also performed periodic site inspections during the site preparation, underground utilities, asphalt paving, placing of concrete sidewalks/curbs, and site retaining walls. This project, performed under a term contract agreement with CBJ, provided technical services for the Dimond Park Aquatic Center. Services included site topographic survey and geotechnical investigation to facilitate an early start on the design component of the project. Serving as the prime consultant retained by CBJ Engineering Department, prepared bid ready construction documents for the reconstruction of 1,500 feet of Riverside Drive in the Mendenhall Valley. 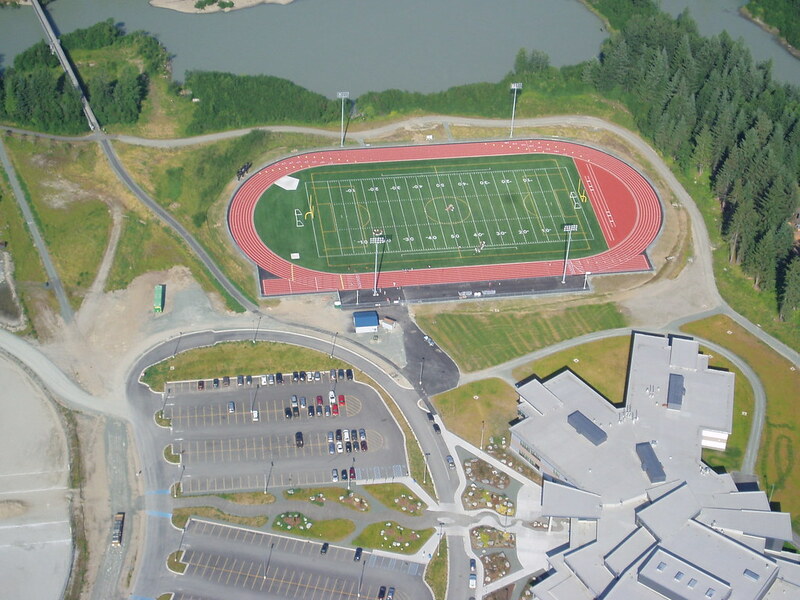 Located immediately adjacent to the Dimond Park Aquatic Center and future library site, the project involved coordination with Riverbend Elementary School, the Thunder Mountain High School contractor, and the public. Services included reconstruction of the existing underground storm drain system, relocation of overhead utilities to an underground corridor, design of a signalized intersection, pedestrian paths, medians, and curb/gutter/sidewalks for pedestrian and vehicle safety enhancements for the Thunder Mountain High School site. As site civil engineers, prepared bid ready construction documents for this pre-engineered metal building located at Dimond Park. Other services included the topographic survey and geotechnical exploration, site preparation details, underground water, sanitary sewer and storm drainage, and parking lot and site grading. 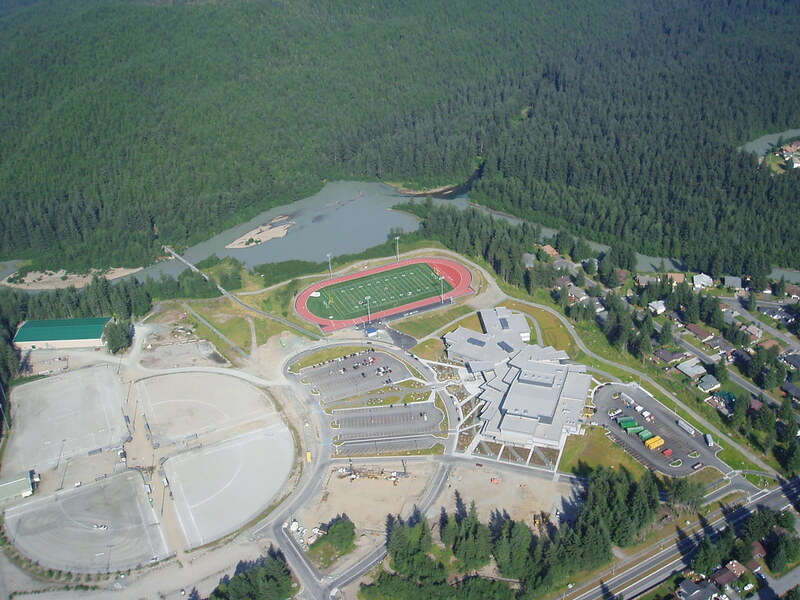 Design engineer and project inspector/contract administration consultant for the site development contract for the 20 acre new Juneau High School. The project involved 15 acres of clearing/grubbing, 100,000 cubic yards of excavation, 120,000 cubic yards of imported fill placement for building pad and access roadways, 8” PVC sewer main, 8” DIP water main, storm drain system, outfalls to the Mendenhall River, engineered log jam structure, compliance with Corps of Engineers permits, traffic control on Riverside Drive, and pedestrian paths. Access roadways, student/staff parking lots, and underground utilities were designed. Underground utilities were stubbed out to the future swimming pool and library sites. The sports field additive alternate was inspected as part of this contract. Civil engineering assistance for the preliminary design and planning of a new community recreation center on Dimond Park. Grading, drainage and utility design for the site of this 550 student elementary school with 92 stall parking lot and separate student bus drop-off and pick-up zones. Services included site topographic mapping, geotechnical investigation, civil engineering design, and project inspections.